The Cape Fear shoreline is one of the most unique shorelines in North Carolina. Comprising of both hopping beach towns as well as delicate barrier islands that are completely undeveloped, the sheer diversity of the area beaches make them an enticing attraction for virtually any vacationer. As a result of this landscape, beachcombers will be delighted to discover that any stretch of local Cape Fear beach can serve as a great destination for shelling. From the wide shorelines of Wrightsville Beach and Kure Beach, to the isolated reserves of Mansonboro Island and Zeke’s Island, southern North Carolina is brimming with opportunities to find a few sea-worthy treasures to take home as lifetime souvenirs. Get your feet wet in this popular beach activity by scoping out the places to go, the species to look for, and the tips and tricks that leads to great finds, and enjoy the best beachcombing expedition possible on your next Cape Fear vacation. There are all sorts of destinations for shelling in southern North Carolina, and visitors will discover that it’s easy to find a stretch of sand and start hunting. Masonboro Island – Located in between the hopping towns of Carolina Beach and Wrightsville Beach, Mansonboro Island is a favorite destination for area shell seekers simply because it’s so isolated and difficult to get to. Only accessible by boat, the island is part of the NC Coastal Reserve and National Estuarine Research Reserve, and features 5,653 acres of undeveloped terrain, which includes 8.4 miles of beautifully uncrowded beaches. To get there, plan a boating or kayaking expedition, or check out the assortment of water taxi services and shelling tours that launch from Wrightsville Beach and Carolina Beach. Zeke’s Island Reserve – Situated south of Kure Beach, (and about 22 miles south of Wilmington), Zeke’s Island is also part of the NC Coastal Reserve and National Estuarine Research Reserve system, but is easier to reach than its Mansonboro Island counterpart. Comprising of 1,625 acres and a collection of islands, (including the primary Zeke’s Island), this destination also has nicely uncrowded beaches with no development. To get there, paddle or cruise to the site, or take a long stroll via the southern borders of Fort Fisher State Recreation Area. Bald Head Island – Only accessible by a private ferry that leaves from the Indigo Marina in Southport, Bald Head Island, which is situated on the very southern tip of the Cape Fear area, has miles of nicely isolated beaches, a sprinkling of development, and a cool collection of natural sites like the Bald Head Island Woods Preserve. 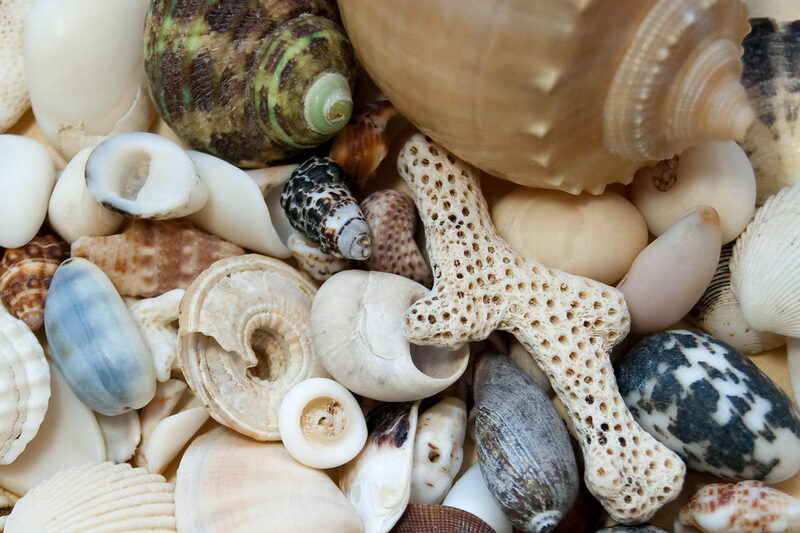 For the best odds, rent a vacation home on the island and enjoy a vacation full of shelling on a daily basis. Figure Eight Island – Figure Eight Island is a private island that’s located just north of Wrightsville Beach and which is only accessible via a guarded causeway. Only residents and guests can reach these beaches, which means there’s ample room to stretch out and enjoy miles of room to roam. To get there, potential shell hunters will have to rent a vacation home for the week, as day-trippers are not allowed at this private destination. Fort Fisher State Recreation Area – Located just south of Kure Beach, the Fort Fisher State Recreation Area offers six miles of protected beaches which are popular in the summer months, but which are nicely deserted and fantastic shelling grounds in the wintertime. Park at the expansive oceanside parking area in the heart of the recreation area, and take a stroll along the beaches in search of treasures. The rock wall that is found on the northern edges of the area is often is a great spot to find stuck shells in small tidal pools, in between the boulders. Kure Beach – Located just south of Carolina Beach and slightly quieter than its northern neighbor, Kure Beach is a picturesque beach town with plenty of nice wide beaches that can serve as decent shelling grounds. Visitors who want the best odds of finding great shells will want to book oceanfront accommodations for early morning patrols, or will want to head south to the borders of Fort Fisher State Recreation Area, which is an area that’s traditionally less busy than the beaches within the town limits. Carolina Beach – Take a stroll along the busy shoreline in Carolina Beach and keep your eyes peeled, or better yet, take a walk or drive north to Freeman Park, which is located on the outskirts of the heart of Carolina Beach. In Freeman Park, there are no houses, resorts, or commercial development of any kind, but there are miles of beaches that are open to pedestrians and 4WD vehicles alike. Head all the way to the Carolina Beach Inlet for the best shelling conditions in the area, and miles of panoramic open water views. Wrightsville Beach – Located east of Wilmington, and well known as a popular surfing spot, Wrightsville Beach will attract shell hunters too, thanks to nice wide beaches where shells can wash up with the tides. Though the beach is popular in the summer months, (and parking can be very hard to find on the weekends), winter visitors will find ample room to roam – and hopefully a few good finds. So once you’ve landed in the Cape Fear area with your shell bag in hand, what can you expect? The type of shells you’ll discover depends on a far-reaching range of factors, including tides, slope of the shoreline, season, weather (i.e., storms and intensity of the waves), and so on. With that being said, there are a few regulars and rarities on the shorelines that visitors will want to watch out for. Scotch Bonnets – A true treasure, the Scotch Bonnet is the official State Shell of North Carolina, and yet it’s also one of the rarest finds on the beach. This shell is distinctive for its fat conical shape and wide lip, squat spiraled top, and traditionally white-with-brown-specks exterior. Measures roughly 1” – 3” at most. Whelks – Often confused for conchs, whelks are more common in North Carolina and consist of a small handful of varieties – including knobbed whelk, channel whelk, and lightning whelk. Measuring anywhere from 1” to a whopping 16”, whelks have a cylindrical body, a tight spiral top, and a large opening. Look for them on isolated beaches in tidal pools, and along the shoreline after a storm or low tide. Conchs – Very rare, conchs can come in several different varieties, (such as helmet conchs or Florida fighting conchs), and make very occasional appearances in North Carolina, traditionally after a storm or offshore hurricane. Olive Shells – Somewhat common, olive shells are pretty cylindrical shells that are skinny in nature, and which have a tight spiral at the top and a long narrow opening. Found throughout the beaches, olive shells measure 1-3” long or so, and are notable for their shiny patterned exterior and light violet interior. Moon Snails – Fat and circular, moon snails have a central spiral that gets perpetually wider until it connects with a big and equally circular opening. Measuring anywhere from ½” to 3” or even more, these shells – though not completely common - can be spotted everywhere along the beaches. Scallops – Scallops are a common shell along the Cape Fear beaches, and come in a wide variety of colors and sizes. Generally clocking in at ½” to 2”, there are two varieties that was up on the Cape Fear shoreline – bay scallops, and the pretty and often rose or pink smattered calico scallops. Sand dollars – Sand dollars can wash up on wide flat beaches when the waves are gentle and calm. Watch for the traditional white varieties, and be careful or brown, green or “fuzzy” ones which may still be alive. Augers, periwinkles, oyster drillers, etc. – These tiny spiral shells are miniscule treasures because of their ornate shape and tiny spirals. Look for them in piles of smaller shells and sediment, or in flat and shallow waters on the soundside and near inlets. Clams, cockles, quahogs, etc. – Bivalve shells are often the most common shells to wash ashore, although there are a myriad of different varieties, shapes and colors. Big quahogs can serve as fine soap dishes, while skinny jackknife clams or pen shells are cool and interesting treasures. Look for an assortment of bivalves all along the beaches. Coquinas – Colorful coquina clams measure just ½” to a 1” but are known for their brilliant array of colors which can range from yellow and brown to bright violet or blue. Look for these little bivalves everywhere, and especially along the ocean wash where “live” coquinas may be digging in and out of the wet sand near the breaking waves. Aim a trip around low or high tide, (especially low tide if possible.) This increases a beachcomber’s chances of retrieving shells as soon as they wash up on the shore. Be sure and check the tidal flats – many shells wash up in small “pools” of water along the beach, especially in isolated areas like Masonboro Island. Want fewer crowds and more shells? Head to the beach in the off-season. The local islands and towns are nicely deserted in the winter months, which means more opportunities for great finds. If possible, try to plan an impromptu trip after a storm or hurricane. Shells tend to wash up in droves after a storm, once the winds and waves have calmed down. Don’t forget to keep an eye out for sea glass! Small bits of colorful sea glass can regularly be found along the beaches. Be sure and bring trash bags along with the shelling bags. Local reserves like Zeke’s Island and Mansonboro Island have a strict “take out what you bring in” policy. On a clear day, when the beach is busy, try wading out a couple feet into the water. Good shells are often hidden beneath the surface close to shore. Don’t forget to check out the inlets, sounds, and even the riverside! Smaller shells, including olive shells, moon snails, and even sand dollars, can wash up in these calmer but still salty waters that are close to the ocean. Just watch for shells that are still alive, or which have already been claimed by local hermit crabs. Shelling in Cape Fear area can be a fun and fruitful adventure, provided that a beachcomber has a great timing, a good eye, and a little luck. Turn a beach stroll into an expedition on your next adventure, and discover why shelling is a local Cape Fear pastime that locals and visitors alike love to enjoy.